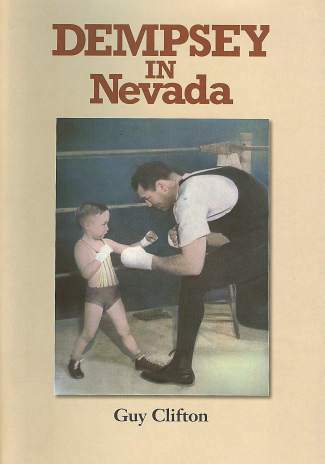 The cover of âDempsey in Nevada," featuring 4-year-old Buddy Garfinkle, of Incline Village. Buddy and Betsy recently completed that job, having raised two exemplary boys. But how many know how Buddy got his start? He got started in the back alleys of Reno, between casinos, shining shoes. It was in one of those back alleys that Buddy met “Battling” Raymond Dozier, a retired boxer, fallen on hard times. Dozier had 142 professional bouts, probably 42 more than he should have had. He was punch-drunk, but still quick on his feet, so Buddy and Raymond devised a money-making scheme to make them rich — rich by Great Depression standards. Here’s how it worked: Buddy would stop passers-by and ask if they would like to bet 50 cents that they could take a swing at Dozier and hit him. If they accepted, as many did, Buddy would place a quarter under each of Dozier’s shoes and instruct Dozier not to move his feet. Then Buddy would place a quarter under each of the challenger’s shoes and instruct the challenger not to move his feet. Buddy would then give the OK to take a swing. As you can imagine, Dozier took a few good cuffings but managed to duck more than he took, and, at day’s end, Buddy and Dozier were able to divide up a sizeable pile of silver. As it happened Buddy made more money managing a washed-up boxer than he did shining shoes. Other notable Garfinkle achievements that I know of: Buddy tried out for second base with the Yankees but Billy Martin got the job. Buddy once got a hit off of Satchel Paige. 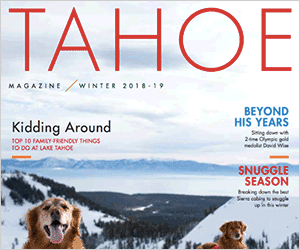 He quarterbacked the Reno High football team and, while playing basketball on the spring-supported floor of Piper’s Opera House, Buddy was able to dunk the ball (We cannot find the photograph to confirm this feat). Buddy went on to coach Reno High to two state basketball titles. I heard that, as Nevada State Senator, Buddy gave us term limits for legislators. Oh, and did we mention, Buddy Garfinkle fought in WWII — one great man, of many men and women of Buddy’s age that we salute as our greatest generation. To learn more about McAvoy Layne visit http://www.ghostoftwain.com.